There are few cities on Earth that offer as much as Beijing. The Chinese capital has a history going back thousands of years and is full of significant landmarks such as the Forbidden City and the Great Wall. If you want to dive into Chinese history and culture, then Beijing is the place to do so. In addition to its storied past, Beijing is also catapulting into the future at breakneck speed. Futuristic skyscrapers dominate the landscape of the city’s Central Business District, standing in stark contrast to the traditional courtyard homes tucked away in the city’s hutong (alleyways). Indeed, Beijing is a city that appears to have one foot firmly planted in the past and another in the future, making the present a very interesting place. There are so many amazing things to do in Beijing that one could spend a lifetime in the city and not do it all. I should know, having spent over five years calling the Chinese capital home. As a part-time English teacher and avid explorer, I was fortunate enough to have plenty of time to experience all that this fascinating city has to offer. After spending so much time in Beijing and doing so much there, I know it better than my own hometown. 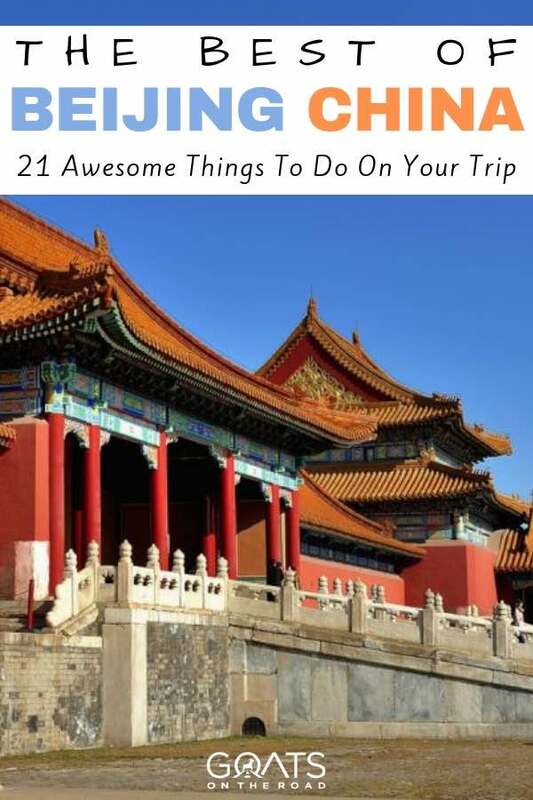 In this guide, I’ll take you on a tour of the best things to do in Beijing. 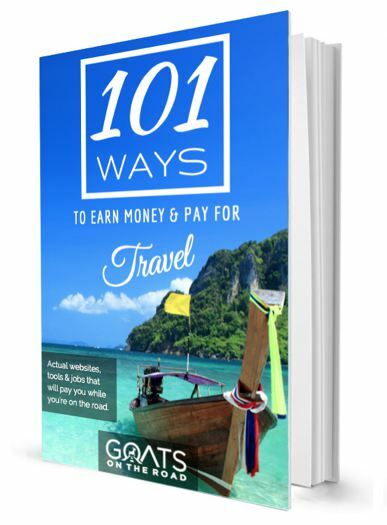 I’ll also make sure to include plenty of tips to help you make the most out of your visit and not get stuck at tourist traps. So get your chopstick skills up to par, lace up your walking shoes, and let’s do this. 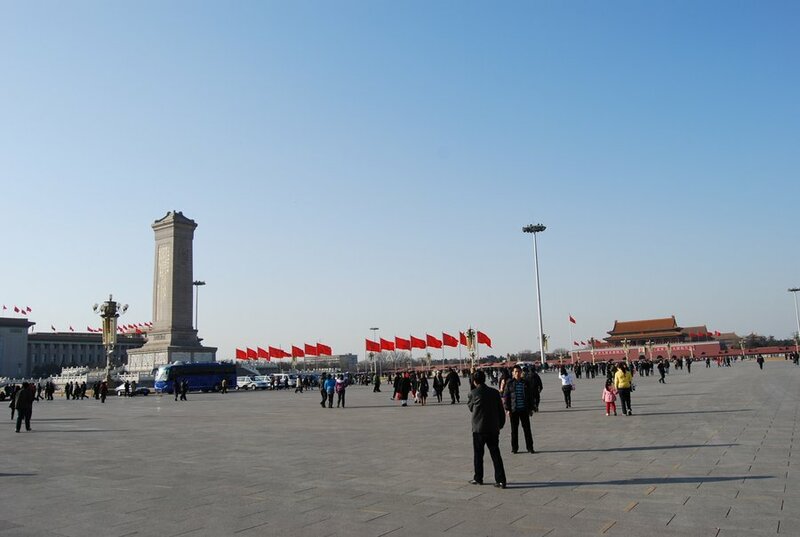 When it comes to the top things to do in Beijing, our journey has to begin in Tiananmen Square. This is the heart of the country, as it’s the place where Mao Zedong founded the modern-day People’s Republic of China on October 1, 1949. For Chinese people, there’s no place more important than this. Many Chinese dream of one day making it to Beijing to visit Tiananmen Square, just as many Americans hope to see the White House at some point in their life. Every day of the year, the square is packed full of tourists, both domestic and international, who come to see the sights in and around the square. If you’re up for it, I recommend getting up before sunrise to make it to Tiananmen Square for the daily flag raising ceremony. Once it’s over, you can grab some breakfast and coffee outside of the square and then head back in to take it all in. Important landmarks here include the Monument to the People’s Heroes, the Mausoleum of Mao Zedong, and the Great Hall of the People. In case you were wondering, the name of the square actually means “The Gate of Heavenly Peace.” This refers to the gate that’s actually right across the street from the square, which you’ll pass on your way into the Forbidden City. Don’t worry, we’ll get to that later on in our last of the best things to do in Beijing. Tiananmen Square is free to visit and is open every day of the week from 5AM-10PM. The best way to get here is by taking Subway Line 1 to either Tiananmen station. Beijing is a city that is struggling to retain its traditional identity while modernizing at the same time. Many of the city’s old neighborhoods are being bulldozed to make way for high-rises and shopping malls. As such, it’s getting harder and harder to find what locals refer to as “lao Beijing” (old Beijing) with each passing day. If you want to step into a time machine on your visit to Beijing, then I suggest getting lost in the city’s hutong (alleyways). These narrow alleys – with their traditional courtyard homes and shops – are not only the residences but also the social centre of life for many Beijingers. Take a walk down a Beijing hutong, and you’ll see old men playing chess (often in their pajamas), women hanging up laundry, and children playing in the streets. Stop by a hole-in-the-wall restaurant for a bowl of noodles before continuing on your journey through old Beijing. Get deep enough in the hutong, and you’ll be forgiven for thinking you’re back in the early 1900s. Not surprisingly, modernization and gentrification have moved into the hutong as well. Several hutong have been given a face-lift and are now full of trendy shops, restaurants, cafes, and bars. One known as NLGX (short for Nanluoguxiang) is a bit of a tourist zoo these days, but it’s still fun to check out. I also recommend taking a stroll up Wudaoying, as it’s a bit more laid back. 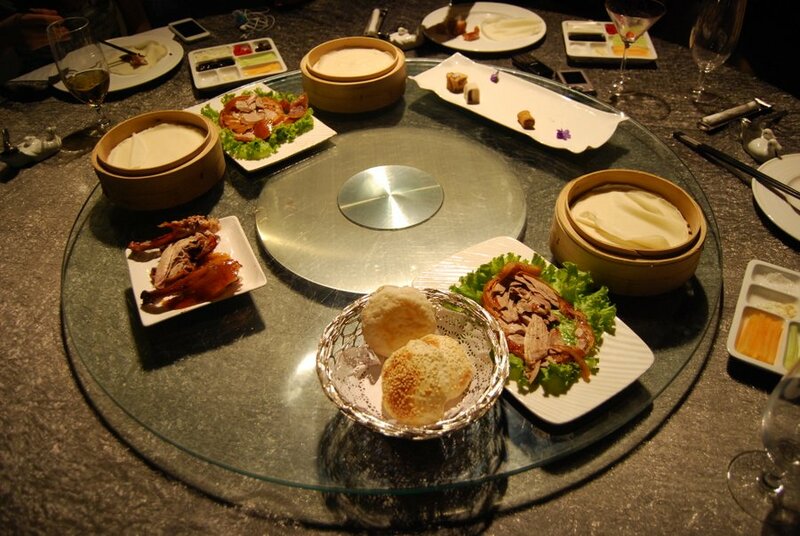 Without a doubt, one of the tastiest things to do in Beijing is feasting on the Imperial Bird – Peking roast duck. This is far and away the most famous dish from the capital, and for good reason. A good Peking duck dinner is a culinary experience like no other. There are plenty of restaurants cooking up the famous fowl, but my personal recommendation goes to Da Dong. You might have to wait in line for a table here, but they pour free boxed wine for you while you wait. Score! You also get to watch the masters at work as they prepare the ducks. Order up a whole duck and a few side dishes, and then watch as they carve it up right by your table. Your waiter will school you on the proper way to eat it as well. It really is an amazing experience and a real treat for your taste buds. Da Dong has many locations, so check the listing to see which is closest to you. I always went to the one located at 1-2/F, Nanxincang International Plaza, 22A Dongsishitiao, Dongcheng District. 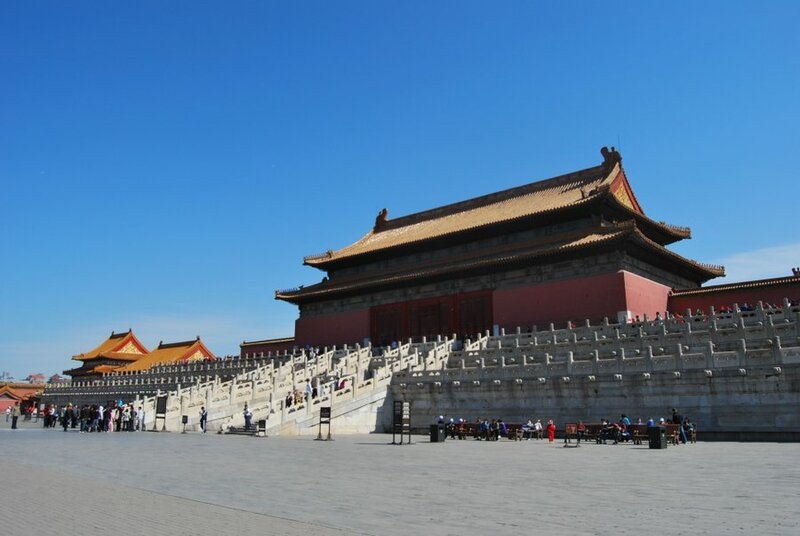 Once upon a time, the Forbidden City was home to the emperors of the Ming and Qing Dynasties. This massive complex served as the official residence of the emperor and it was also the political centre of China for nearly 500 years. It’s not forbidden these days, with around 15 million people visiting annually. Upon entering the Forbidden City, you might feel a bit overwhelmed by its size. After all, the place covers nearly 180 acres and has about 8,000 different rooms! A walk through the Forbidden City is high atop the list of things to do in Beijing for just about every visitor. It takes a good couple of hours to really see the whole place, so take your time. Walking through the giant courtyards, I always like to imagine what it must have been like to have this entire place to yourself with thousands of servants. Must have been nice to be the emperor! 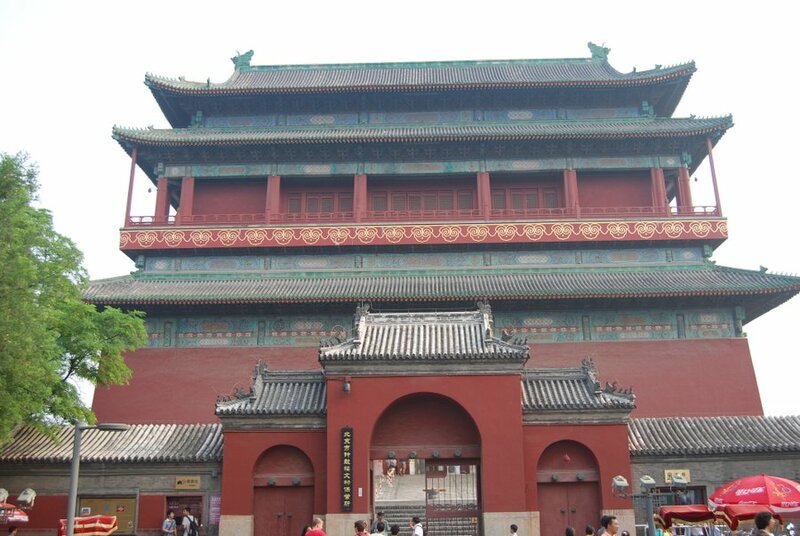 The Forbidden City is located at 4 Jingshan Front St, Dongcheng District. The best way to get there is by Subway Line 1 via either Tiananmen station. It’s open from 8:30-5PM from April to October, and it closes half an hour earlier the rest of the year. The ticket price is also different – it’s 60 RMB ($8.90) during the warmer months and 40 ($5.95) between October and April. For a completely different, more modern look at Beijing, head to the 798 Art District. Housed among decommissioned military factories, this funky art zone provides a fascinating contrast between the city’s past and present. After the factories went into decline in the 80s, they just sat there abandoned. Eventually, artists began moving in and opening studios. In an ode to the area’s past, many of the Mao-era slogans that were meant to encourage workers were kept in place. There are always new galleries and exhibits coming to 798, so it’s a place you can return to again and again. 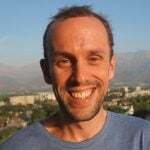 When I lived in Beijing, it was one of my favourite places to hang out. You’ll find plenty of nice cafes and bars here as well, so make a day of it and take your time exploring. 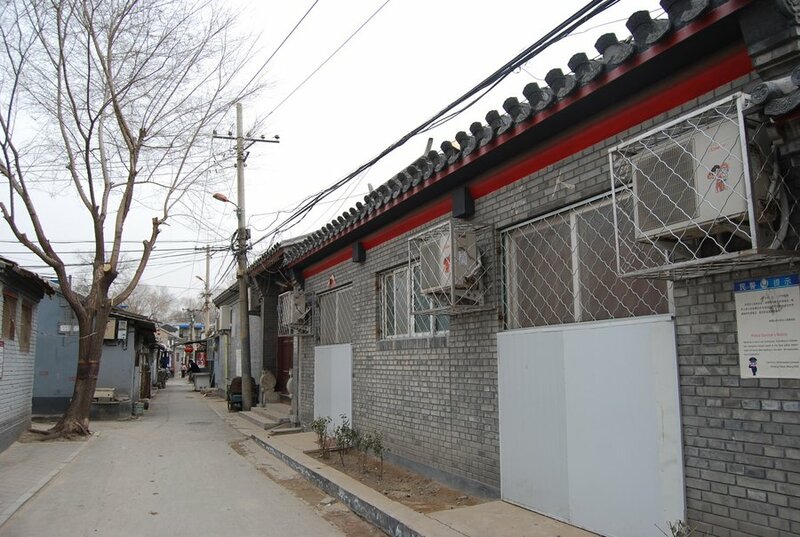 The 798 Art District is located at 2 Jiuxianqiao Rd, Chaoyang District. Your best bet is to just take a cab there, as it’s not very close to any subway stations and the bus system is confusing unless you can read the Chinese language. 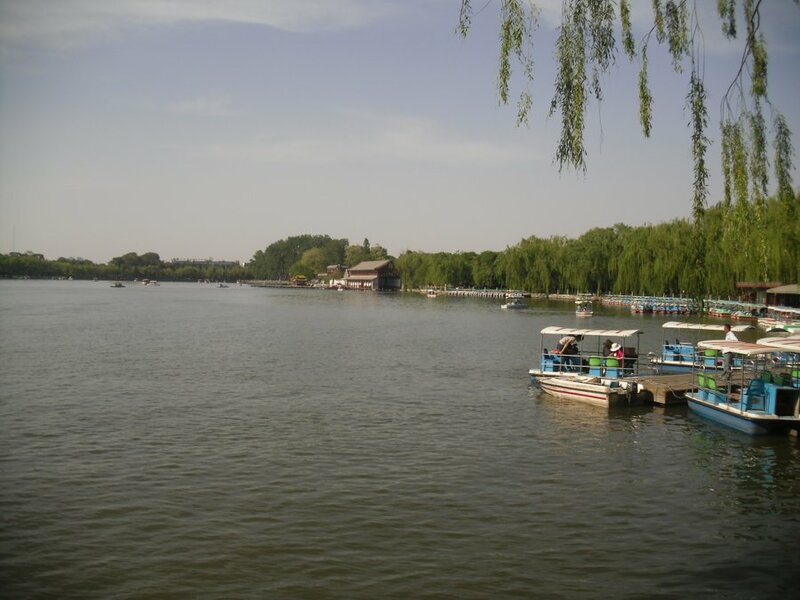 Right in the middle of Beijing, there are three man-made lakes that are collectively known as Shichahai. Long ago, these lakes served as a playground for the royal family. These days, they’re popular with young Chinese locals, tourists, and expats. To move around the three lakes, you have a few options. Of course, you can just walk and go at your own pace. You can also find bicycles for rent if you prefer to move a bit quicker and get some exercise. Finally, you can pay a rickshaw driver to take you on a tour of the lakes and the surrounding hutong. 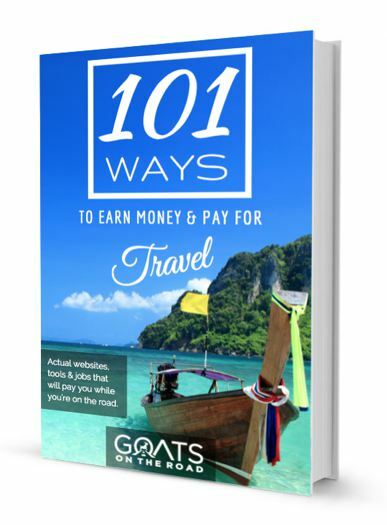 Just be prepared to bargain, as they’ll likely give you a ridiculous price if you’re a foreign tourist. The best way to enjoy the lakes, though, is by renting a boat and leisurely cruising around. Buy a bag full of Yanjing beers and some snacks, and you’ve got yourself a fun afternoon out in Beijing. Stick around for sunset and then get out of dodge before all the bars start blasting offensively loud music. Head instead around the corner to my friends’ restaurant and bar called 4corners. It’s an awesome place for dinner, drinks, and live music. 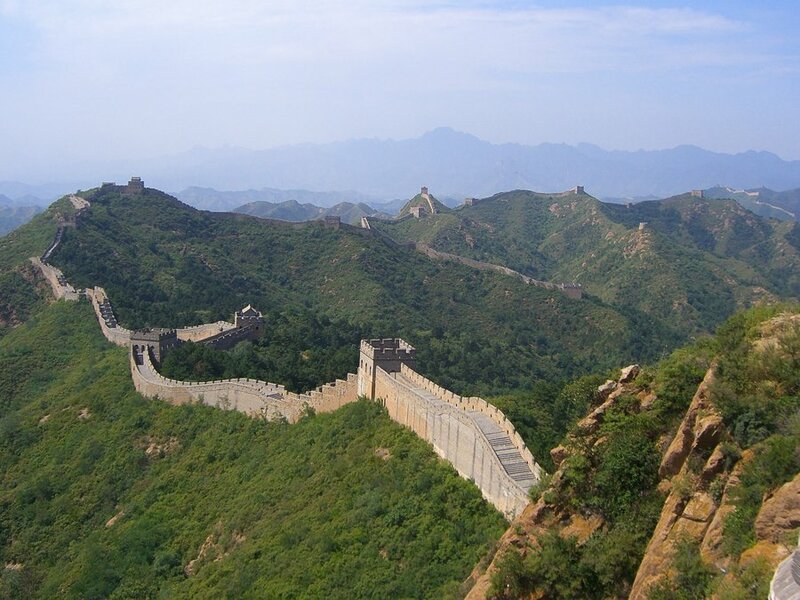 One of the most popular things to do in Beijing is visiting the Great Wall of China. Climbing atop one of the Seven Wonders of the World is sure to be a major highlight of your trip. A word of warning, however – not all sections of the wall are actually great. Originally built to keep out Mongolian invaders, the Great Wall is now the most famous tourist attraction in all of China. You won’t find any Mongolian soldiers these days, but you will find an abundance of selfie-stick waving tourists on many sections. Whatever you do, do not under any circumstances visit the Badaling section of the wall. This Disney-fied version of the Great Wall is basically a giant tourist trap, and I recommend avoiding it and visiting another part instead. For a relatively hassle-free and enjoyable Great Wall experience, I recommend the Mutianyu section. If you’re looking for a bit more adventure and want to hike the rugged wall, you can head instead to the Jinshanling, Simatai, or Gubeikou sections of the wall. We actually went camping on the Great Wall at Gubeikou, and it remains one of the coolest things I’ve ever done. If you want to soak up a bit of the local culture and not feel trapped in a tourist bubble, I recommend checking out a few local parks during your trip to Beijing. Although the city gets a bad rap for its air pollution (it really is pretty awful), it’s actually home to several green spaces. Since most people in Beijing live in massive concrete high-rises, they like to congregate in parks for social activities. Take a stroll in a Beijing park, and you’re sure to see people practicing tai chi, playing chess, doing a bit of water calligraphy, or just busting a move in a group dance. There are tons of different parks to choose from, but if you’re only going to visit one I suggest Chaoyang Park. What Central Park is to New York, Chaoyang Park is to Beijing. It’s a great escape from the never-ending traffic, noise, and construction on the city streets. There’s plenty to do in Chaoyang Park to keep you busy. Bring a picnic, rent a boat, hit the rides in the amusement park, or get 10 fellow travellers together and jump on the epic Party Bike. 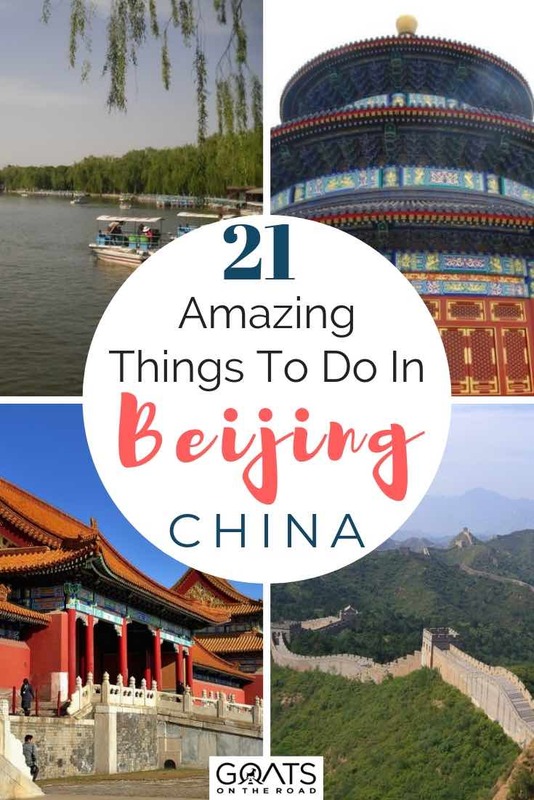 It’s definitely one of the most fun things to do in Beijing! Chaoyang Park is located at 1 Chao Yang Gong Yuan Nan Lu, Chaoyang District. It only costs 5RMB to enter and is open from 6AM-9 or 10PM depending on the season. You can get here on Subway Line 14 via the Chaoyang Park station. 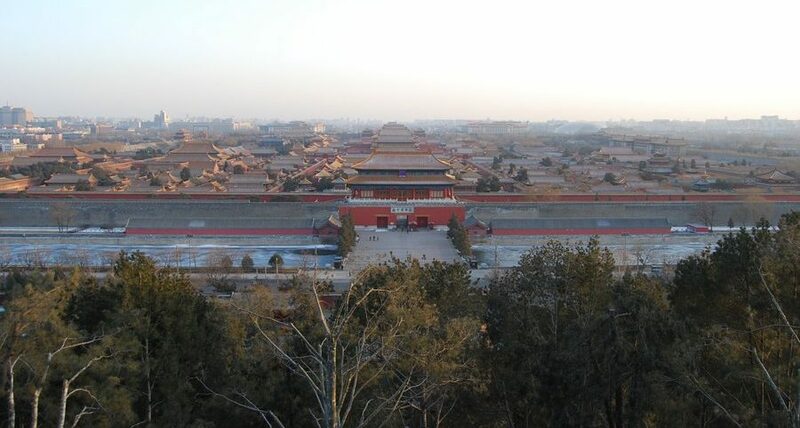 Just to the north of the Forbidden City, you’ll find Jingshan Park. This was once a private imperial garden attached to the palace and is now a public park that is highly popular with locals. On a clear day, head to the top of the hill for one of the best views in the entire city. I took my wife here on her first day in Beijing and she was absolutely awe-struck when she saw the view off to the side of the Forbidden City. If there’s a rare blue sky on your visit to Beijing, be sure to head here. Even on a nasty, smoggy day, you’re sure to have a better day in the park than the last emperor of the Ming Dynasty. Chongzhen fled to Jingshan and hanged himself from a tree to avoid capture by the newly proclaimed Shun Dynasty. You can even see the tree where he did it when you visit the park. The best way to access Jingshan Park is after you visit the Forbidden City, as it’s right across from the north entrance. It costs a mere 2RMB to enter the park. Beijing is home to several famous temples, so you’ll want to visit a few of them on your trip. Let’s start out with the granddaddy of them all – the Temple of Heaven. During the Ming and Qing Dynasties, the emperor would come here to pray for a good harvest. He would also make animal sacrifices to appease the gods. Thankfully, you won’t find any animal sacrifices going on at the temple these days. Instead, you’ll find a UNESCO World Heritage Site that’s surrounded by a nice park. Another temple that’s well worth a visit is the Lama Temple. The Chinese name actually translates as “Palace of Peace and Harmony,” but the English name comes from the fact that it remains an active lamasery. Here you’ll find a massive Buddha statue carved from a single piece of sandalwood. 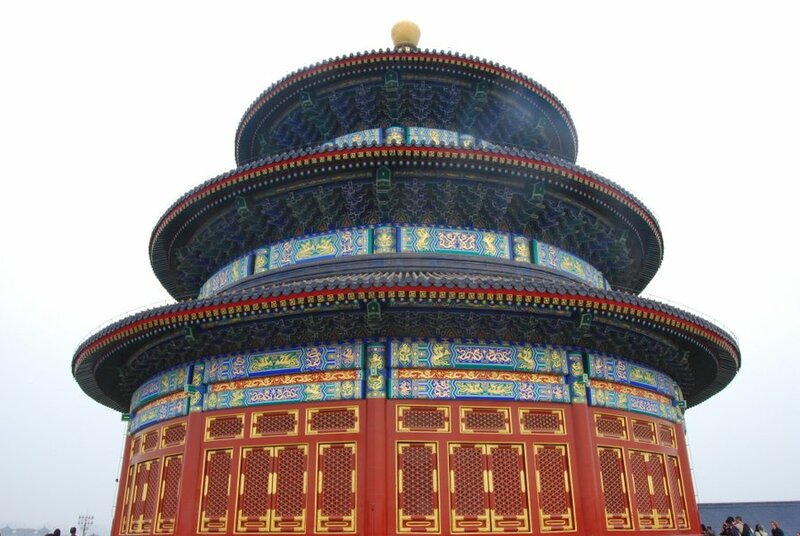 The Temple of Heaven is located at 1 Tiantan E Rd, Dongcheng District. A combo ticket to see everything inside costs 34RMB ($5) from April-October and 28 ($4.15) the rest of the year. The hours are 8AM-5PM or 5:30 depending on the season. Take Subway Line 5 to the Tiantong Dongmen (Temple of Heaven East Gate) station. The Lama Temple is located at 12 Yonghegong St, Dongcheng District. Entrance tickets cost 25RMB ($3.70) year-round, and the hours are 9AM-4PM or 4:30. You can get here via either Line 2 or Line 5 at the Yonghegong (Lama Temple) station. Let me preface this by saying I absolutely loathe shopping. That being said, I absolutely love going to the massive markets in Beijing. It’s just so much fun haggling with the vendors, laughing at all the hilarious Chinglish t-shirts, and scoring counterfeit threads for super cheap. When it comes to shopping in Beijing, the most fun place to visit is definitely the massive Silk Market. Here are some stats on this place: 35,000 square meters, 1,700 vendors, 3,000 salespeople, and over 50,000 visitors on the weekends. All of that in one 5-story building in Beijing! Before you go to the Silk Market, just be aware of two things: 1. This place exists solely for tourists and 2. Many products here are knock-offs. The Silk Market is located at 8 Xiushui E St, JianWai DaJie, Chaoyang District. You can get there by taking Subway Line 1 to the Yonganli Station. If you’re wondering what to do in Beijing in the autumn, this is a good bet. 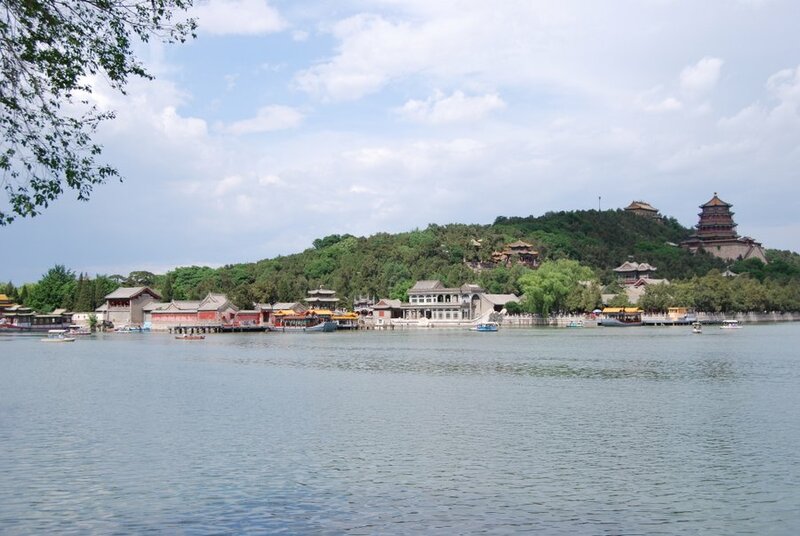 Perhaps the most beautiful place in the city, the Summer Palace should be high atop your list of things to do in Beijing. It was built back in 1750 to serve as a place for the emperor and his family to get some R&R during the stifling hot summer months. It’s got pagodas, gardens, palaces, and even a huge man-made lake. While the English name makes perfect sense due to its original purpose, the Chinese name is so much more poetic. It translates as “The Garden of Tranquil Harmony.” In a city full of constant car horns, traffic jams, and pushy crowds of people, the Summer Palace really is one of the few places to find some tranquil harmony. The Summer Palace is located at 19 Xinjiangongmen Rd, Haidian District. It’s open from 6:30 AM to 6 PM between April and October and 7AM-5PM the rest of the year. A ticket is 20 RMB ($3) in the fall/winter months and 30 ($4.45) in the spring/summer. People love drinking beer in China. There’s just one problem with Chinese beer – it’s terrible. Most Chinese beers are watery, flavorless, and worst of all, usually only about 3-4% alcohol. Thankfully, there are now several craft breweries in Beijing so you’re not stuck with lukewarm Tsingtao. The original craft brewery in Beijing is Great Leap. Head to their original location tucked away in the hutong, or check out one of their newer, bigger, fancier locations. Wherever you go, be sure to order their signature Honey Ma Gold, which is brewed with Sichuan peppercorns for a nice little kick. If you’re a craft beer connoisseur, you might as well check out a few other breweries. Slow Boat is a fantastic brewery as well. I’m sad to learn that their original brewpub closed down due to construction projects in the area, but excited to visit their new 3-floor pub in the Sanlitun area next time I visit Beijing. Finally Jing A rounds out the Big 3 for Beijing craft breweries. 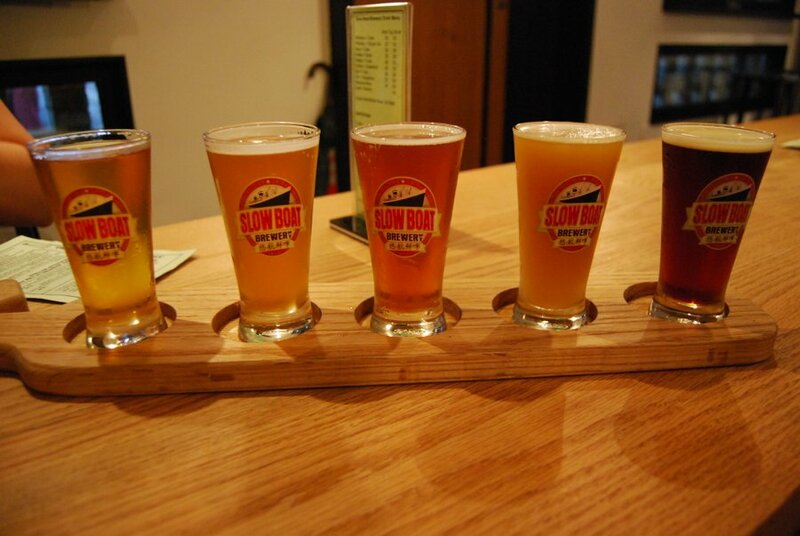 Head to their brewpub in Xingfucun to sample from their 16 different taps. Their chef here also whips up some real-deal Texas BBQ if you need a break from all the rice and noodles. Beijing isn’t exactly a huge sports city, but there are a few Chinese professional teams that play here. If you want to mingle with locals, heading to a ball game is a great way to do so. You won’t find many tourists here, just passionate Beijingers who love their teams. Football fans will want to head to Worker’s Stadium to check out the Beijing Guoan. Be sure to get to the stadium a bit early to soak up the atmosphere. There are plenty of people selling merchandise such as t-shirts and scarves so you can look the part once kick-off happens. The Guoan play between March and November and often have home games in these months. I advise you to skip the scalpers and instead head straight to the box office to get your ticket to make sure it’s legit. If you’re more into basketball, you’ll want to head to the Cadillac Arena to root for the Beijing Ducks. Their season stretches from October to March and they usually have a few home games a week. 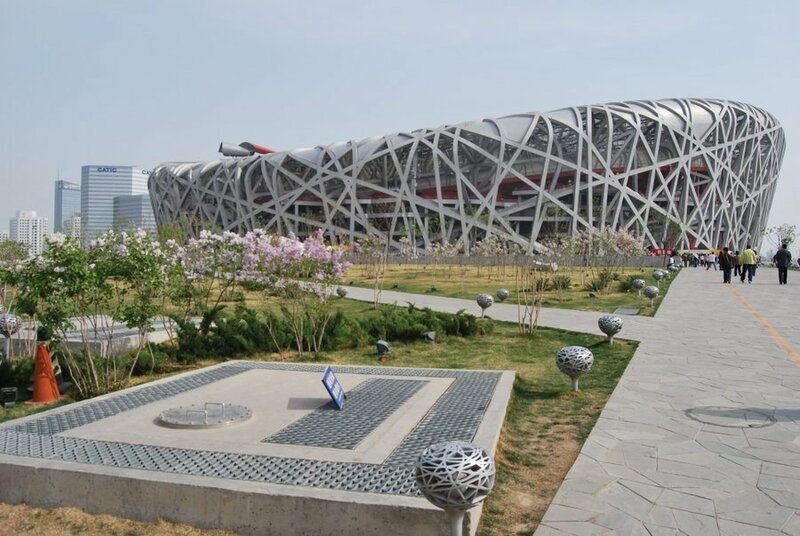 Speaking of sports, no visit to Beijing would be complete without a trip to the Olympic Park. Start off at the National Stadium, which is more commonly referred to as the Bird’s Nest due to its unique design. Pro tip – skip out on paying to go inside. It’s really not worth it. Right next door, you’ll find the National Aquatics Centre, which also has a way cooler nickname – the Water Cube. If you bring your swimsuit, you can hit the awesome water park inside. Tickets cost 260RMB ($38.50) during the summer and 200 ($29.65) the rest of the year. Summer hours are 10AM-10PM, while it closes at six in other months. If you keep walking north, you’ll hit the Olympic Forest Park. It’s the largest urban green space in all of Asia and a great place to visit to escape the chaos that otherwise overwhelms Beijing. Best of all, it’s totally free to visit! Fun fact – the Chinese capital will become the first city ever to host both the Summer and Winter games when they host the 2022 Winter Olympics. One of the coolest things to do in Beijing is catching a performance of the amazing Chaoyang Acrobats. Chinese acrobatics is an art that has been handed down from generation to generation over thousands of years. Acrobats begin their training from a very young age through a master-apprentice system. They work diligently over the years to get to a point where they can perform. 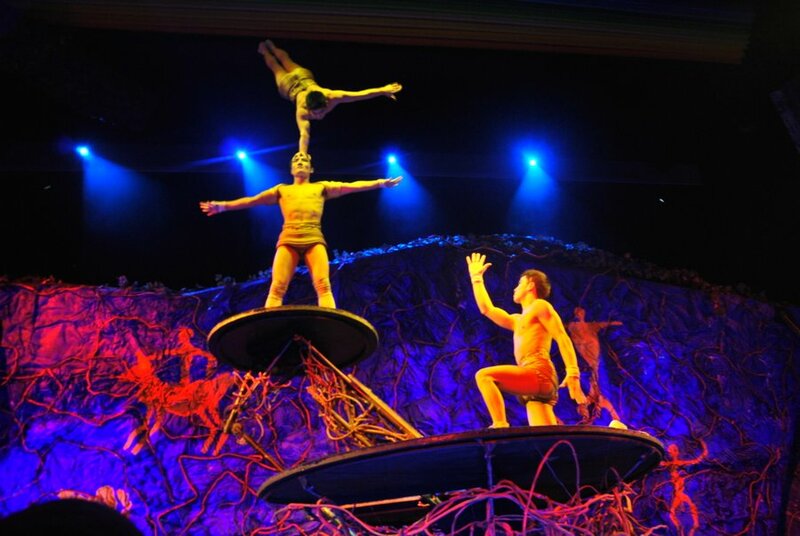 It’s seriously impressive what the acrobats are able to pull off in this show! The shows happen at the Chaoyang Theatre, which is located at 36 E 3rd Ring Rd N, Chaoyang District. The closest subway station is Hujialou on Line 10. There are two shows daily, one from 5-6PM and another from 7-8. To buy tickets online, simply follow this link. Prices range from 240-750RMB ($35 – $115) depending on the seat. If you’re into street food, you won’t want to miss out on the Wangfujing Night Market. This long pedestrian street is packed full of vendors selling a dazzling array of Chinese snacks. This place is an absolute assault on the senses. There are the bright lights of the red lanterns, the shouts from vendors trying to lure you to their stand, and the smells… oh the smells! From sweet pineapple rice to stinky tofu, your nose is in for a shock here. There are plenty of classic Chinese dishes here like steamed dumplings or stir-fried noodles if you want to ease your way into things. More adventurous eaters may want to give some of the more, shall we say, unique items a try. 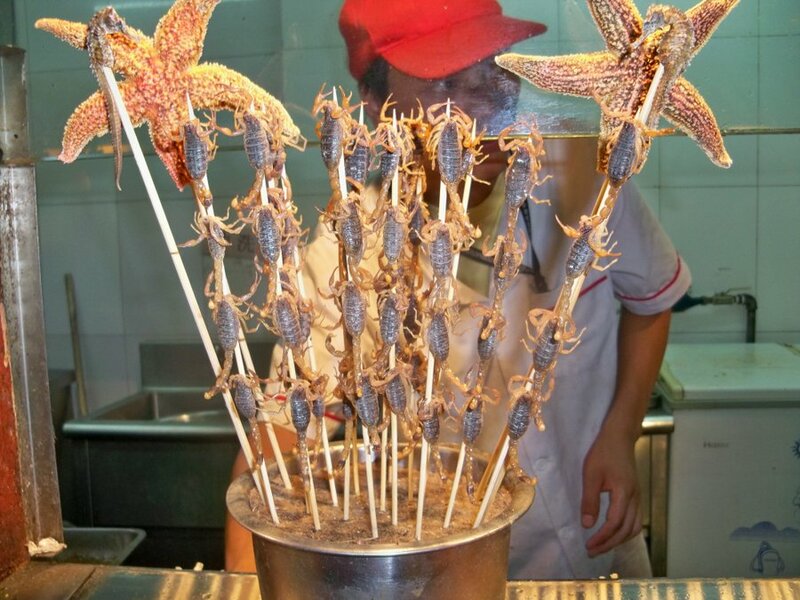 There’s starfish, fried scorpions, silkworm larvae, and so much more. To get to the night market, just take Subway Line 1 to Wangfujing Station and head north up the street. It usually starts just after dark and goes until 10 or 11PM. Even if you don’t eat anything, it’s worth a visit just to check it out. Beijing isn’t exactly known for its great weather. The city can be miserably cold during the winter, and the smog is often so bad that you can’t see the buildings across the street. Thankfully, there are plenty of excellent museums in Beijing where you can escape from the harsh conditions outside. The best museums in Beijing are located around Tiananmen Square. Here you’ll find both the National Museum and the Planning & Exhibition Hall. In the National Museum, you’ll find an impressive range of exhibitions covering China’s long and illustrious history. Apparently, there are over one million relics in this museum alone! China’s National Museum is open from 9AM-4:30PM from Tuesday-Sunday. Best of all, it’s absolutely free! Combine this with a visit to Tiananmen Square and you’ve got a half-day in Beijing covered without spending a single kuai. The Planning & Exhibition Hall is an urban planning museum that features a massive scale model of the entire metropolis. It covers 302 square meters and is made on a scale of 1:750. I highly recommend checking this place out, as it really puts it into perspective just how huge Beijing is. It’s open from 9AM-4PM from Tuesday-Sunday and tickets cost 40RMB. Back in the day, the Drum and Bell Towers were actually used as musical instruments. Later on, they became the official time-keepers of Beijing. Before pants-shaped skyscrapers, these ancient buildings dominated the skyline of lao Beijing. If you’re going to visit the Drum and Bell Towers, you might as well climb them both. Doing so affords you some great views of the surrounding hutong and Hou Hai Lake. Make sure you time your visit to watch the drum performances, which happen at 09:30, 10:00, 11:30, 1:30, 2:30, 3:30, and 4:45. To get to the towers, you can either take Subway Line 2 to Gulou Station or Line 8 to Shichahai. A combo ticket to visit both of them costs 30RMB. There’s no additional charge to see the drum performance. One of my favourite things to do in Beijing is getting out of the city to go hiking in the mountains. It’s actually easier than you think to escape from the concrete jungle to find yourself out in the mountains. A great place to go for a hike in Beijing is the Fragrant Hills Park. This massive park in the northwest of Beijing covers 400 acres and is famous for both its natural scenery and cultural relics. The best time to visit is in the fall when you can take in the view of the multi-coloured landscape. Just be warned that you’ll be joined by thousands of Chinese tourists with the same bright idea! One problem with the Fragrant Hills is that it’s not exactly the easiest place to visit. Thankfully the city finally built a light rail line that connects the park with the rest of the metro system. Take Line 10 to Bagou station and then transfer to the Xijao Line to reach the Fragrant Hills. You’ll need to carve out most of your day to visit the Fragrant Hills, so it’s best for those who have a week or so in the city. As you might expect by this point in the guide, prices and opening hours for the Fragrant Hills depend on the time of year. Tickets usually cost 10-15RMB and the park is open from at least 6AM-6PM, with an additional hour in the summer. They may call New York the city that never sleeps, but I think Beijing is more deserving of that nickname. I’ve been out on the streets of New York at 4AM and the place is dead. Beijing, on the other hand, is still going hard. Partaking in the nightlife is a must when you visit the ‘Jing! Where you choose to go on a night out in Beijing all depends on your tastes and budget. You can head to the student hangout of Wudaokou if you’re looking for cheap drinks and packed nightclubs full of singles ready to mingle. For a more upscale evening, check out the Sanlitun area. This is a favourite of young Chinese professionals and expats, with countless bars and clubs to choose from. When I lived in Beijing, this was my go-to place for a wild night out. Just down the street, the clubs in front of Worker’s Stadium are the place to see and be seen. These are the kinds of places that have a dress code, cover charge, and bottle service, just so you know. Another popular nightlife area is Gulou. Here you’ll find a few live music venues and some cool dive bars. 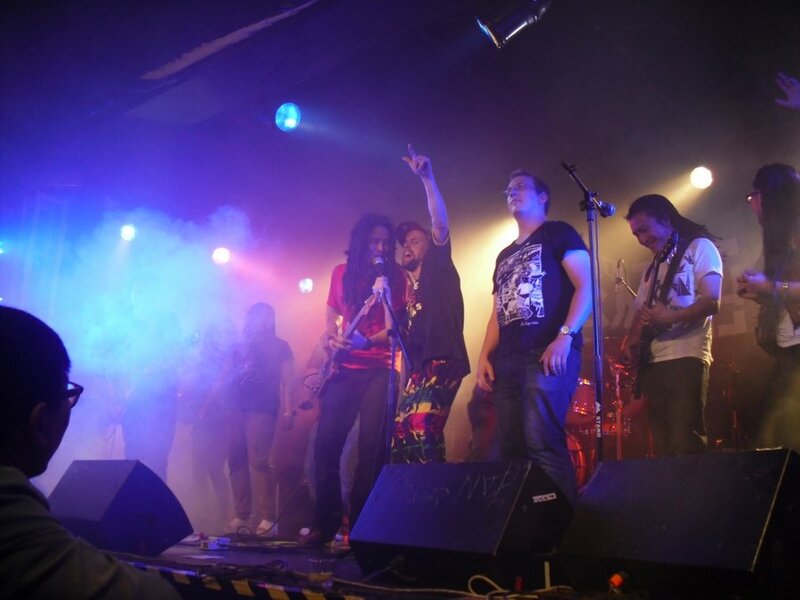 Any epic night out in Beijing always seems to end in the same place – KTV. That is, a karaoke bar. The Chinese version is far different from the western one, though. Rather than public humiliation in front of strangers, you rent a room with a group. They’ll happily serve you beers until the sun comes up at most of these places, at which point you can stumble out onto the streets of Beijing and grab some steamed buns to soak up all the booze. 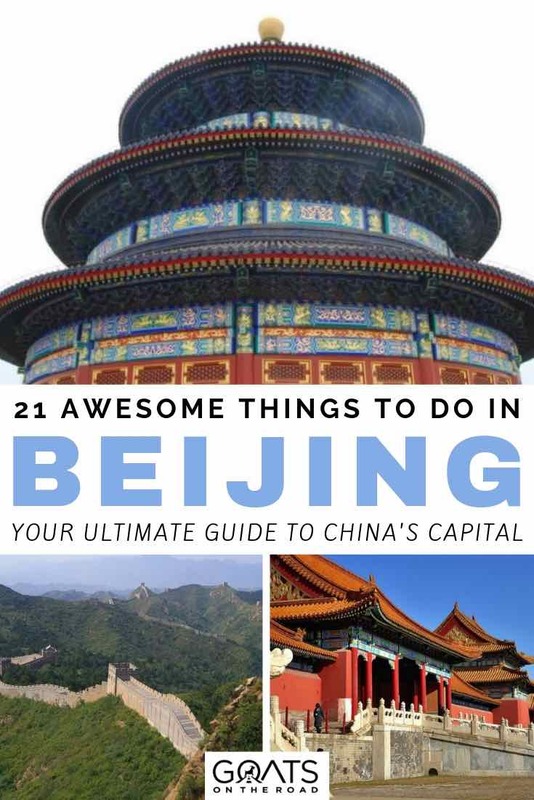 While Beijing usually makes the news for its air pollution and traffic jams, I hope this guide has shown you that the Chinese capital remains a fantastic travel destination. I love the city so much that I called it home for five years, and I’ll always have a soft spot for the ‘Jing. There’s so much to see and do and the city just has vibrant energy about it that’s hard to explain. It’s so fascinating to be in a city that has a history going back thousands of years, yet is going full-throttle towards the future at the same time. One minute you’re walking the grounds of the Forbidden City, and the next you’re gazing up at futuristic skyscrapers. Turn down one street and you find yourself back in time wandering around a hutong. Come out of it, and you’re in front of a mega-mall full of designer shops. Welcome to Beijing, my friends!